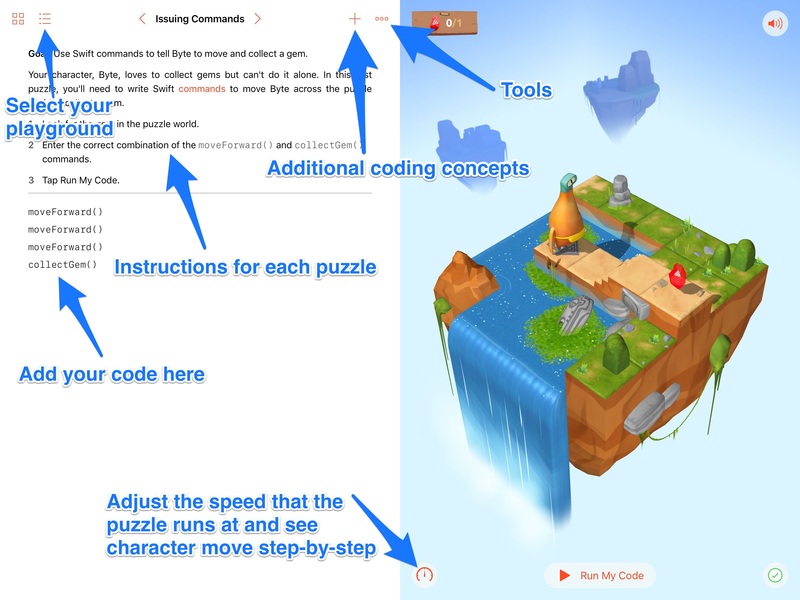 Apple’s Swift Playgrounds is a fantastic app built to help teach programming. It is ideal for the classroom and it’s purpose is to help children from Y6 onward get started with coding and learn some of the fundamental concepts involved. It uses Apple’s own programming language, Swift, and is intuitive and beautifully designed. Furthermore, it is relatively simple to use and best of all – it’s free! Once you have downloaded the app, you need to select the playground you wish to start in. To do so, tap on the featured button and then I would strongly recommend that you pick ‘Learning to code 1; Fundamentals of Swift’ before embarking on any other of the challenges . Simply because it will provide a basic scaffold on which pupils can start to build their understanding of the app and the Swift language itself. Once downloaded, you tap on the Playgrounds and an in-built keynote presentation will walk you through the coding concept of each section. The first is commands and the presentation gives a nice overview before the coding starts. Once the introductory presentation is finished, the first playground starts up and you are ready to start coding! The annotated picture below shows you what’s what. The Keynote slides are very helpful and once downloaded, fully customisable. They contain interactive examples of children’s work, key vocabulary and explanations. There are also additional activities that are a great add-on to the playgrounds themselves; providing the opportunity for children to learn the key concepts unplugged. Or in otherwords, examine what the concepts mean without computers. The grade-book is great for summative assessment, but for formative assessment Apple recommend that teachers use the awesome SeeSaw. SeeSaw is a fantastic, simple-to-use portfolio App that means pupils can hand in examples of their work in video or picture format. Teachers can then annotate, like, and provide feedback (verbal or written) to the pupils and they receive instant notification. All their work is stored in personal folders making it easy to monitor and very helpful for events like parents evening! 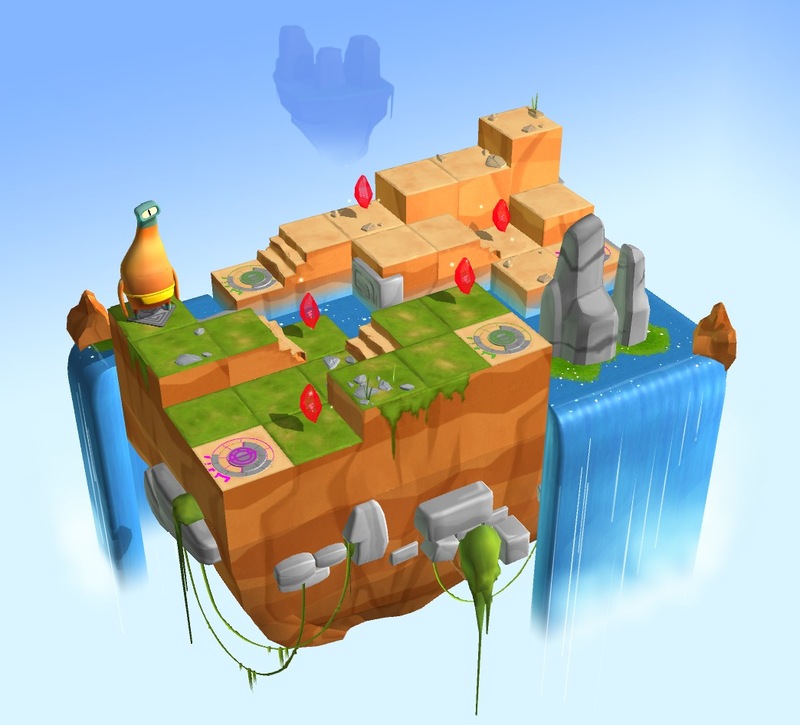 Swift Playgrounds really is a fabulous tool for the classroom. Whether you are a Computer Science wizard, or a primary teacher who has unwillingly been given the responsibility of running the coding curriculum, the App and accompanying resources provide a wonderful opportunity to engage, challenge and promote computer science in any school that is fortunate enough to have iPads available for their pupils. I would stress that you need a 64bit iPad so the minimum is the iPad Air or iPad Pro series.